Normally this expression means something related to my business and is referencing checks and balances, a saying my peers and mentors use to drive home a point. But yesterday this statement, "At the end of the Day" took on a whole new meaning for me, and a positive one at that!! Hence the importance of Windy!! On Sunday, called throughout the day, as most of you did as well!! (I know this, because a few times I called, Windy was busy J) Although Windy currently only gives the correct wind speed and temperature, lacking in the direction of the wind, between 2 apps on my phone and knowing the history of increasing winds throughout the day, I concluded that the wind was in fact building and most likely blowing from the west-southwest!! Perfect wind for Shell Point. 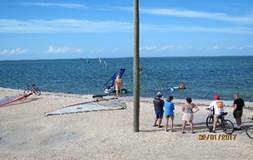 At 2:45 I loaded my trailer and headed to Shell Point, shocked to find I was the only one there for windsurfing!! I proceeded to rig my sail because at this point Windy was saying it was blowing 15 knots! I thought, surely a fellow windsurfer would not want to miss this opportunity, and someone would show up soon. There were a few folks on the beach, so I did feel comfortable venturing out on the water. At this point, the wind had reached 17 knots! To say that my time spent on the water for the next hour and 15 minutes was epic is an understatement. You know that moment in time when everything just comes together between you and your rig? When every turn and plane you are on are just about perfect! That moment where you kind of wish someone was there to witness this epic moment! Well, that was that moment for me! It was then that I realized that the time spent on the water yesterday was a gift. A gift from the wind gods, I guess meant for me and only me. A moment that only I get to remember and experience. The perfect end of a perfect day! Although the wind gods were kind enough for me to at least share my experience with a fellow windsurfer when my session had finished. That is when Richard showed up! He was in awe of how beautiful and windy it was! In his own words, "Man, I need to check Windy more often, it is beautiful down here!" So, to close, I hope all of you have had that experience or have the opportunity soon! Words of Wisdom, check Windy more oftenJ. And my wish for everyone is to enjoy 17 to 19 knots” at the end of the day”. See you at the Club meeting tomorrow evening. To honor Valentine’s Day, there will be sweets for everyone J! 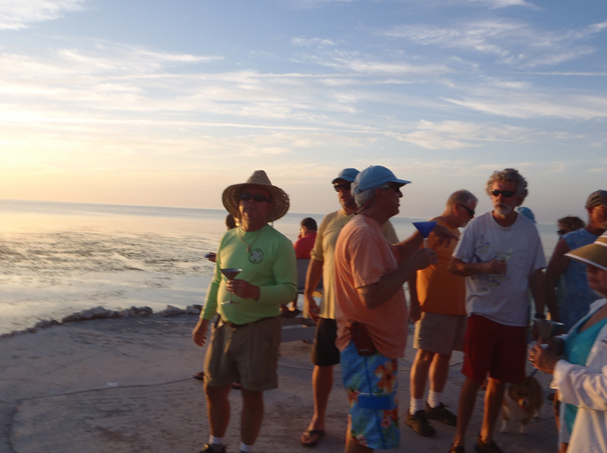 Another great trip to the Florida Keys this year with a wonderful group of people. 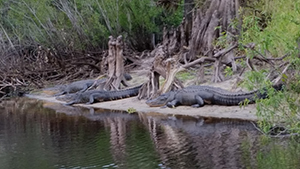 A few of us started off by stopping at Fish Eating Creek on a Thursday night, spending all day Friday there kayaking and watching the 20+ alligators sunning themselves as they sized us up. We headed out Saturday morning to make our way to Fiesta Key. The Fiesta Key folks were very hospitable and accommodating. We found our spots with no problem and setup our various sleeping contraptions. Sunday saw some high wind, high rain, and was downright chilly. Only Hugh got out to see some sailing that day, the rest of us wanting warmer condition. 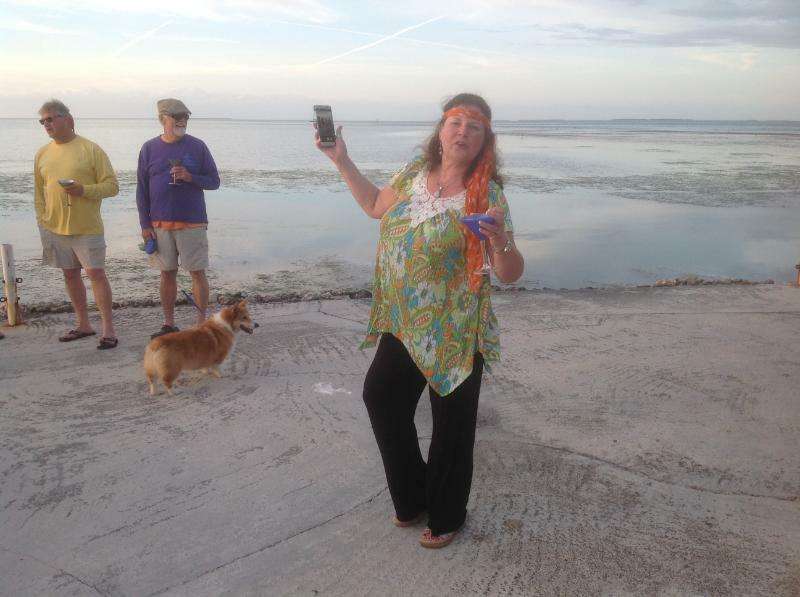 Monday, a contingent headed off to Key West to do the bar crawl and enjoy the sights. Monday was still a bit cool, but as the week wore on, Friday saw temps topping out at 80. Wednesday was sixties night, with many dressing up in attire from that time, but many also forgetting it was to be sixties night. That’s what happens when you lived through the sixties. The whole evening was filled with songs from the sixties, with people singing along on every song. Dancing started kicking in around 9, and the guard had to come over and tell us to shut it down at about 10:15. Love this SPSC group where different types of parties can break out at any time. Sailing wise, there wasn’t good wind. Several long boarders hit the water Tuesday through Friday, with the wind getting a little less each day. Fortunately, it was a nice north/northeast wind. The seaweed had piled up against the seawall nicely, allowing us to jump off the wall into nice soft seaweed mass. Using carpets on the seawall to lay equipment on worked very well. The facility is looking better. All new power posts have been erected on the sites, the community center had a complete face lift that we noticed during the ice cream social, the hot tub area was completely redone, with both hot tubs running at full throttle with nicely temperatured water. The pool was not heated, but provide relief on Thursday and Friday when the outside temperatures heated up. Thursday night saw a couple SPSCers jumping in to do some Karaoke! Dave sang some Frank Sinatra and Sandy sang a killer version of Harper Valley P.T.A. 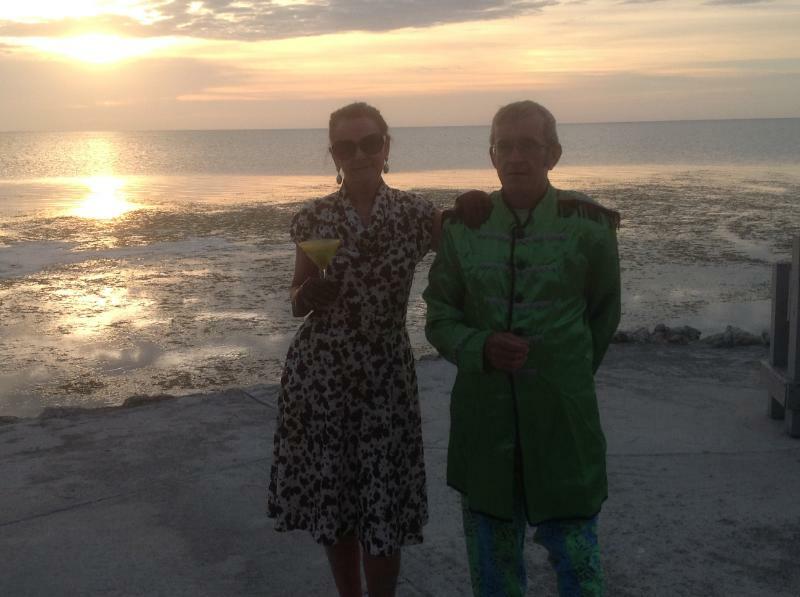 WE SAW THE GREEN FLASH ON FRIDAY NIGHT!!!!! It is NOT a myth. Wind and rain on Sunday, January 29. A few sailors struggled into their wetsuits to brave the cold and extreme wind on Sunday. 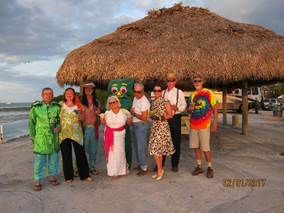 We had a 1960’s theme for the traditional theme night at Sunset Point. Among the costumed were: Jackie Kennedy (Julie Stacklyn), Bobby Socks Sandy (Layne), Strider (Perry), Gumby (Bob Graves), hippies (Dan, Sherry, Joe), Elton John/Michael Jackson (?) (Bob Andrews) and beatniks. 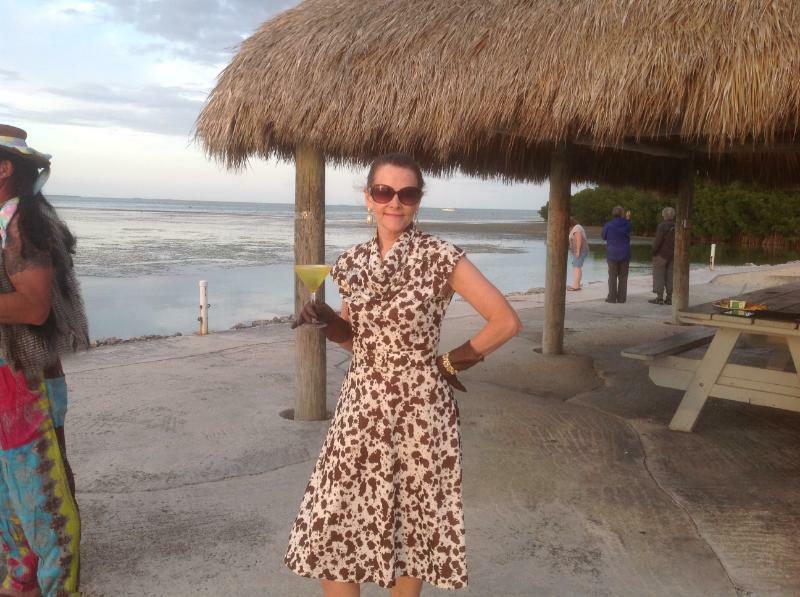 Of course, some of us still dress in 1960’s attire and thus did not need costumes. The other campground dwellers kept a healthy respectful distance; eyeing us from afar. Past theme traditions have included “M*A*S*H”, Hawaiian Luau, White Trash, etc. The annual trek to Key West was a success with no serious harm occurring. Two of our club members performed Karaoke one night at the restaurant; they were great! Dave (alias Frank) Denmark’s “Fly me to the Moon” and Sandy Layne’s “Harper Valley PTA” made us proud. One of the highlights of the trip was seeing the green flash the last day of our trip—Friday night. Yes, we really saw it and no, it was not in a martini-induced coma. We have witnesses. The place was in very good shape. The restaurant was nice and they have upgraded some of the bathrooms. 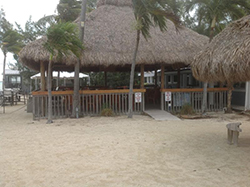 Staff were really helpful and the grounds were well maintained. They had live music, Karaoke, Bingo on various night. There were many other special moments – some better left unrecorded so as not to be used later for evidence. We had fun! We missed those of you that could not make it. 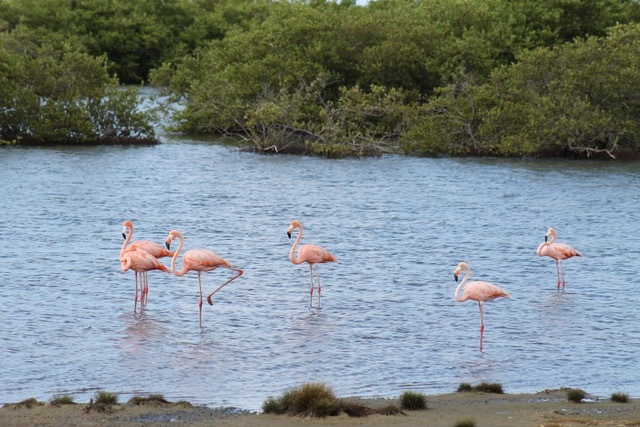 If you haven’t yet made plans for the Bonaire trip (27May - 4 Jun), now is the time! 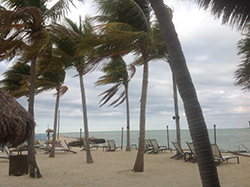 Not only are reservations starting to tighten up, but the promise of a tropical paradise in the dreary days of February in north Florida makes it easier to get off one’s wallet. Bonaire has much to offer to windsurfers, especially Shell Point windsurfers. Winds are a steady 15-20 mph, except for the occasional “nuclear” day, and the clear turquoise water inside the bay is waist-deep. The bay is protected by a shallow reef, so the water is relatively flat, making this a perfect place to work on water starts and jibes and tricks. The rental concession (known as Jibe City, by the way), has a really nice selection of shortboards by Fanatic, F2, RRD, and JP, ranging in volume from 80 to 160 liters. Sails are by Severne and North, and range from 3.3 to 8.6 meters, covering all wind conditions. Also, lessons are available for a reasonable price. Bonaire, more than any other SPSC destination, is an ideal venue for sailors of all sizes and abilities, and especially those looking to improve or just get back into the sport. 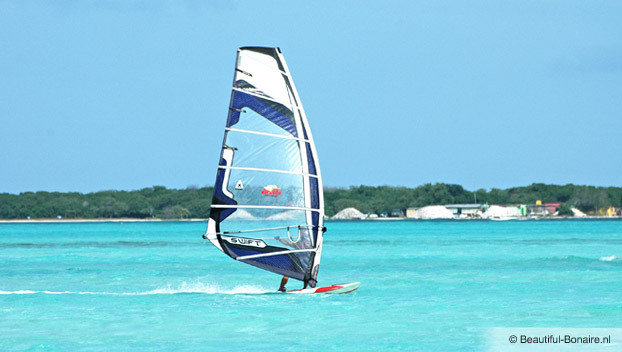 Bonaire is also a great place for non-windsurfers. 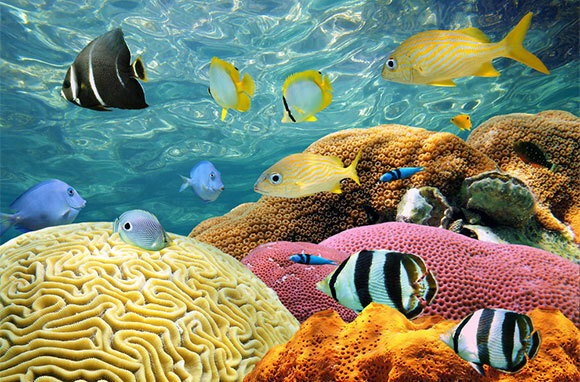 It is hailed quite simply as the diving capital of the world, with the healthiest coral reefs in all the Caribbean. There are literally hundreds of dive spots, mostly off the west coast, many of which are accessible by just walking off the beach. Klein, Bonaire, (the large mangrove island about a half mile west of Kralendijk, accessible by water taxi) is reputed to have pristine coral reefs that are shallow, so that many choose to avoid the hassle of dive equipment and simply snorkel. The water is clear and warm, with visibility up to 100 feet and temperatures of 78-80 degrees. I plan to spend half of my time windsurfing, and half of it snorkeling and diving. With the third half of my time, who knows? Bonaire is a Dutch “municipality” which means there should be plenty of Heineken, even by my exacting standards. 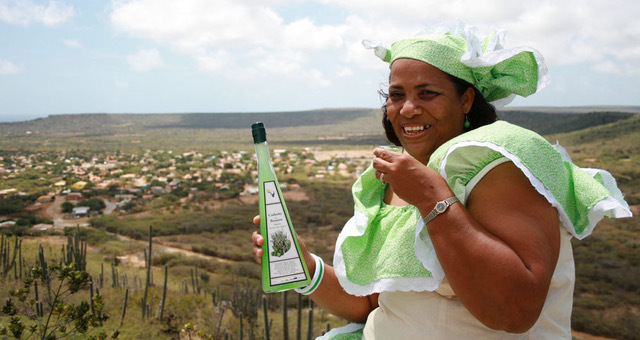 There is also a distillery which I understand makes an excellent rum, flavored with locally-grown basil (yes I know, can’t wait to try it). For dinner, there is rum, and also dorado and wahoo, fresh-caught too (it’s an island). I understand there are also a couple of casinos, so I am planning to spend a few hours there, and who knows? I may win enough to pay for the trip. In case I get casino shy (i.e. busted), the entire north island is a national (municipal?) park, with caves, dunes, wild horses, and more diving. I think there will be plenty to do. Thanks to the has-been Commodore for putting this together! Meeting called to order by one very LOUD scribe. 7:30-ish. Wireless Windy in Purser’s Report. Dave Spitzer to allow a webcam. The better to see who’s on the water with, my dear! Cmda. would love to recruit. Board Member Mac and Commadora Rolling to present to FSU Sailing. FSU Sailing has 12 people who want lessons. PC Graves to …… No, not him. The OTHER PC Graves. The DJ one. He’s going to coordinate. If anyone knows of any other organization we could pull from, please say so! We need to reach out, get e-mails, engage, re-engage. PC Chris Graves asks about beach renourishment. No one knows. Wireless Windy?? NO! Web based!! The current model of Windy has sensors that wear out. Many brands use the same sensors. He shows us something new with ultrasonic sensors, instead of mechanical ones. Looks like a hamster trap. The gig has no whirly!!! The Scribe notes that when Lee Chapin speaks, the whole room falls very silent and listens! Biggest question is where do we put the data? Easiest is to put it on our website, but what we all want is to get it straight to our cell phones. Next we’ll wonder why our sunglasses can’t display it for us. Paul Hansard wants more info on the new Windy’s internal processors. Frickin’ nerd!! Frequency of sampling? Infinitely adjustable. Current Windy was a “grab sampler.” New one will give adjustable averages. We can capture our own data. We don’t need third party’s to do our nerd work! There hasn’t been a lightning strike on the tower since the Brillo powder puff was installed. Failures largely related to cobwebs. Condensation on cobwebs screws with the sensors. Well, the spiders don’t screw around much out in the channel. Technical Maestro Chapin built the tripod. At the same time, the channel markers were installed by Wakulla County. He doubts anyone with the county can remember how/when/why. Lee would have to explain the whole thing to the county’s current administration, who likely won’t care. We’d have to explain the whole thing to them before we could even ask permission to add anything to one of the markers. We’d need a 10’ extension, though, so it wouldn’t be a subtle and easy to miss change. The scribe sees that he has something scrawled in the margins that appears to say “pumping palm tree.” I swear I only had one beer, and nothing else!! Biggest question remains setting up data account. We’ve got enough nerds skills in the club to deal with that easily. BUT, there are really cheap 3rd party sites. Guru Chapin will bring us a total price to the next meeting. Motion to table – carried. Peak month for bank account, but that’s because the expenses are right there waiting. Some Xmas expenses are paid. 62 memberships. Possibly 90 warm bodies. Bradley has paid. Awards – Perry Williams trophy awarded to Bob Andrews. Recognition to Chris Graves for Commodial Service. He gave a speech, but I didn’t bother writing it down. 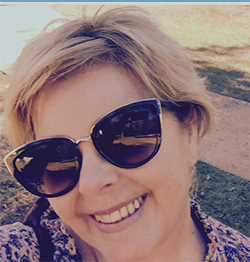 Xmas party – Great job, Mary! Thanks to all for set up and clean up. Festivus – Fun and Foggy! French Braid Challenge; Chris Graves hid whimpering under his bed. Too afraid of Ms. Rolling. His brother Bob stood in for him, and employed all the skills he’d learned as grandfather to many granddaughters. Though he is to be commended for his vallant, yet vain attempt, the House of Graves fell that day to the new Rolling Syndicate. Updated address book – Mistress Of Web Deb points out we have an online directory that maybe people should check on for old info. If you find anything in need of updates, please e-mail them to her. Midwinters is March 10th through the 12th in Clearwater. 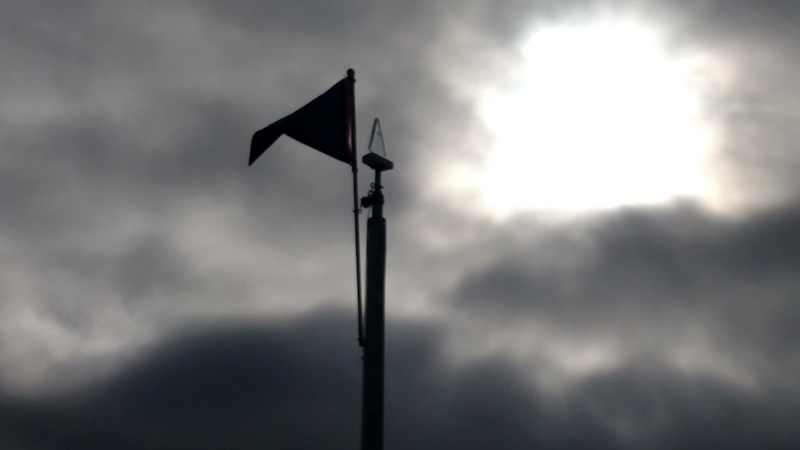 Wind Ceremony – March 18th, dark:30. SCSMR – April 28th – 30th. Rum n’ Root Beer – Aug 6th. Chris Hill to chair. NIMBY – June 20 – whatever. Wright Finney pandering to the Father’s Day folks. Likely in the Panhandle. Endless Summer – No dates, yet. Next club meeting on Valentine’s Day. Hrmmmmmmmmmmm.